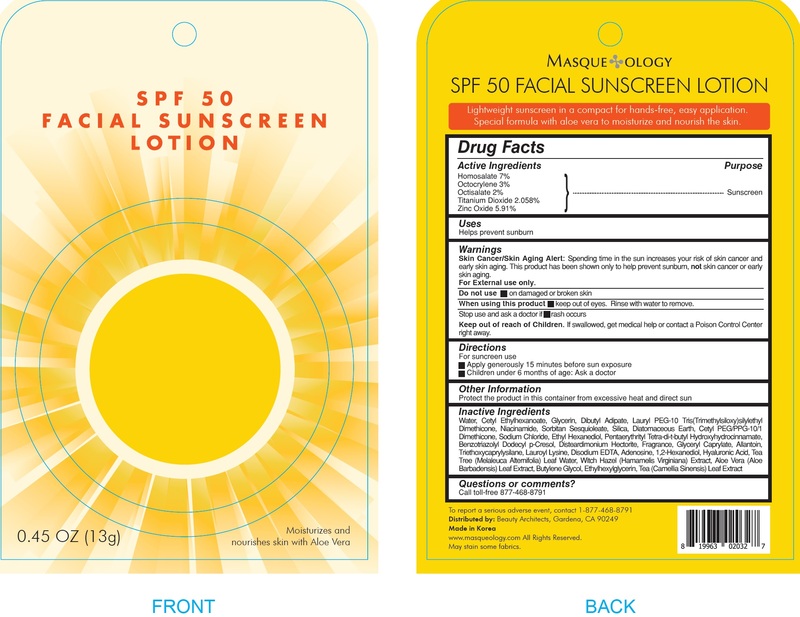 Proprietary Name: Spf 50 Facial Sunscreen What is the Proprietary Name? Non-Proprietary Name: Homosalate, Octocrylene, Octisalate, Titanium Dioxide, Zinc Oxide What is the Non-Proprietary Name? Spf 50 Facial Sunscreen with NDC 72860-000 is a a human over the counter drug product labeled by Beauty Architects, Llc. The generic name of Spf 50 Facial Sunscreen is homosalate, octocrylene, octisalate, titanium dioxide, zinc oxide. The product's dosage form is lotion and is administered via topical form. not skin cancer or early skin aging.